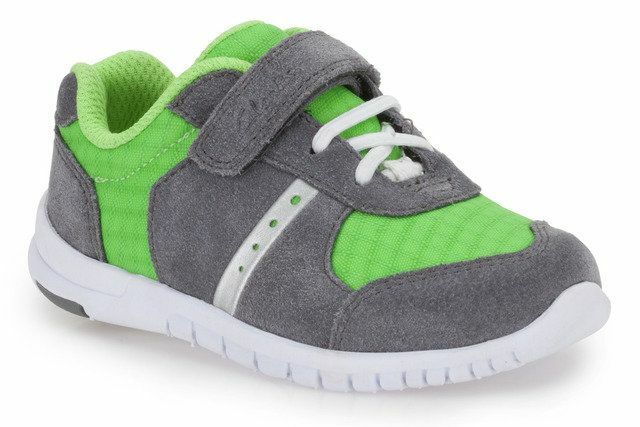 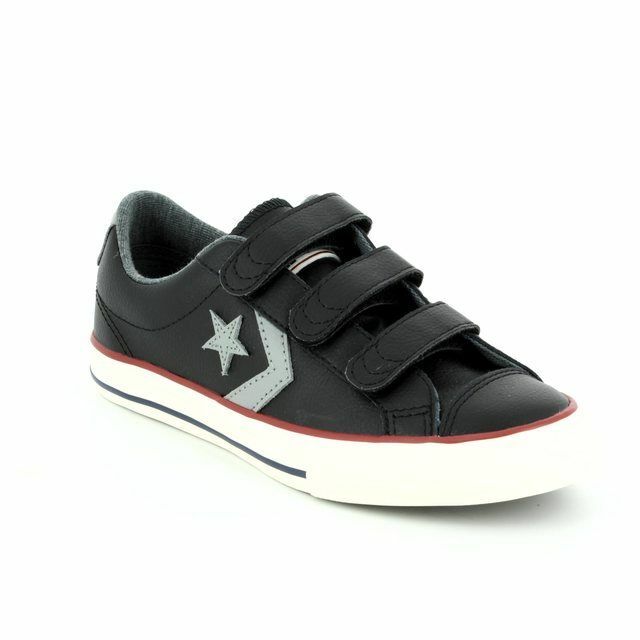 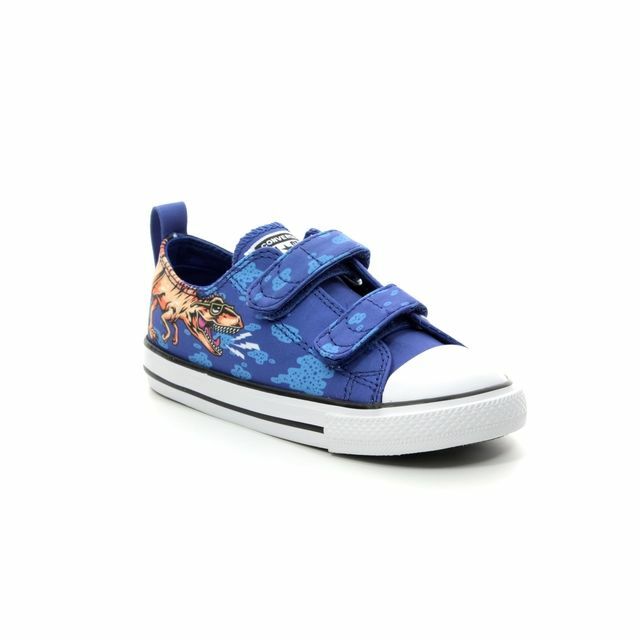 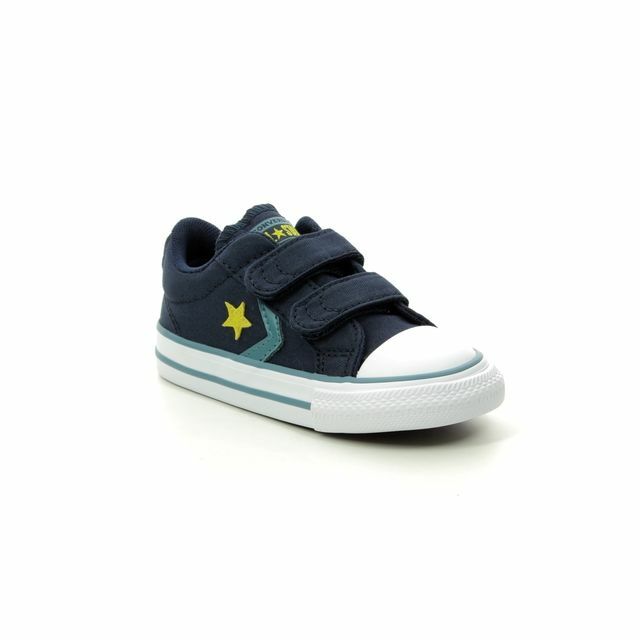 The Converse 763713C DINO 2V VELCRO is a boys dinosaur Velcro Converse. 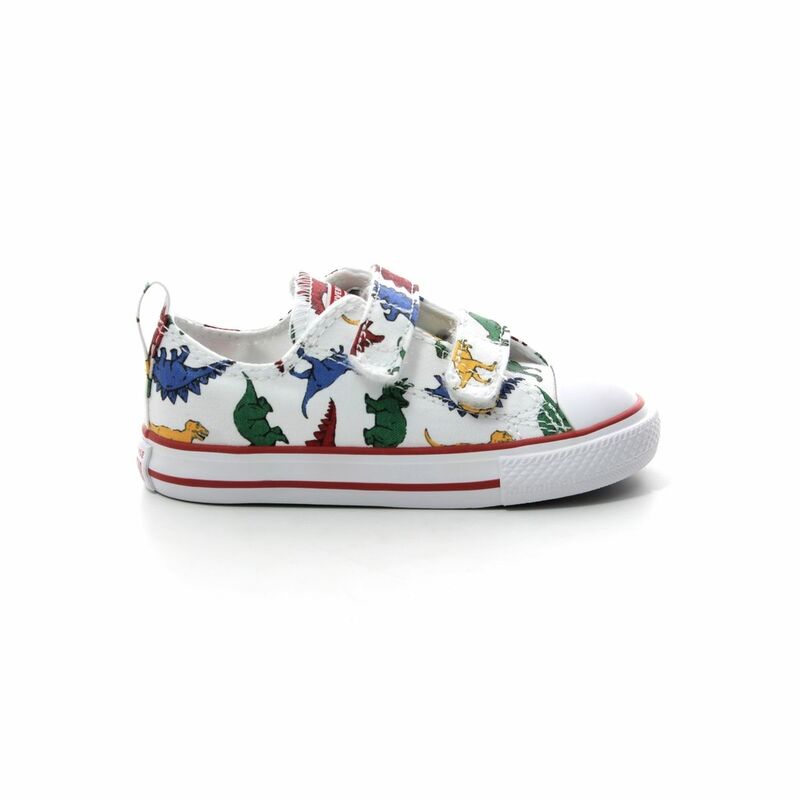 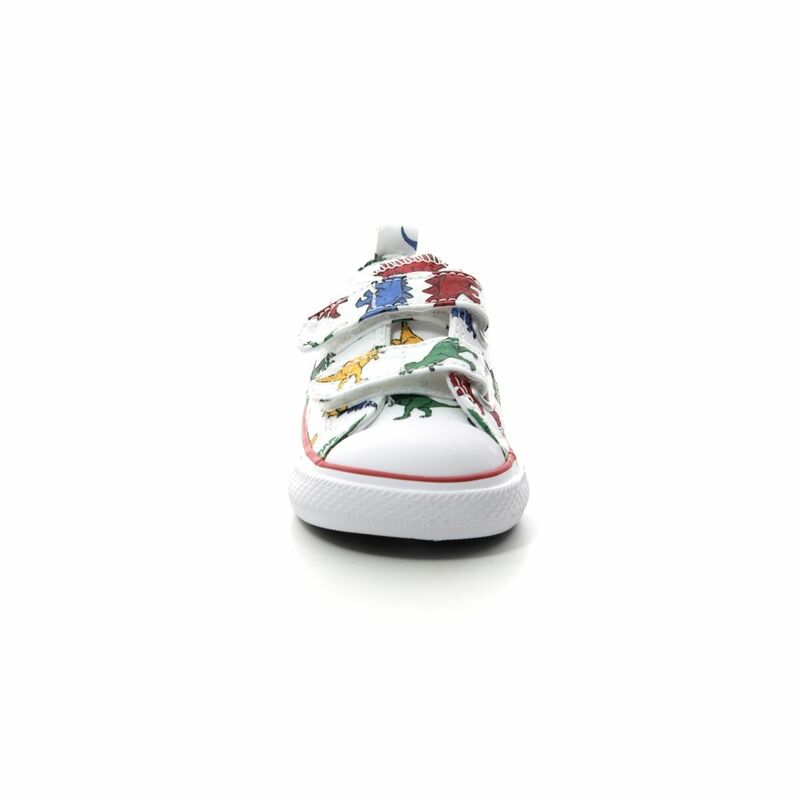 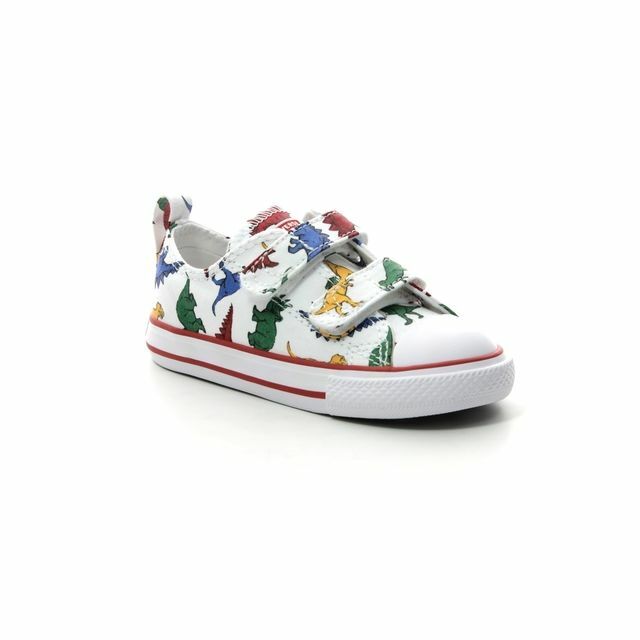 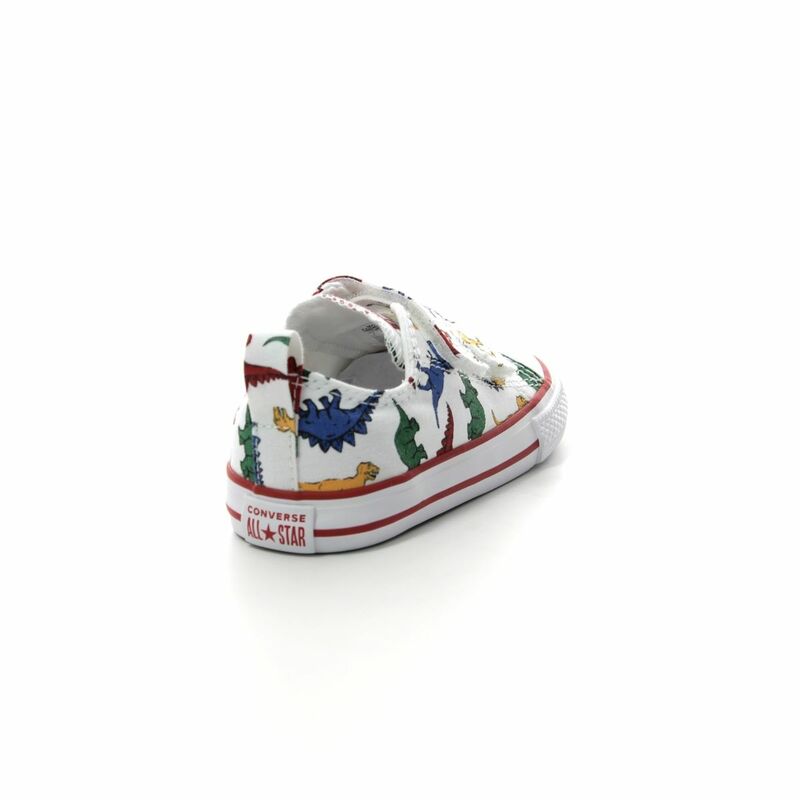 These boys Converse have a white canvas upper with a yellow, green, blue and red dinosaur pattern, super for dino mad little boys. 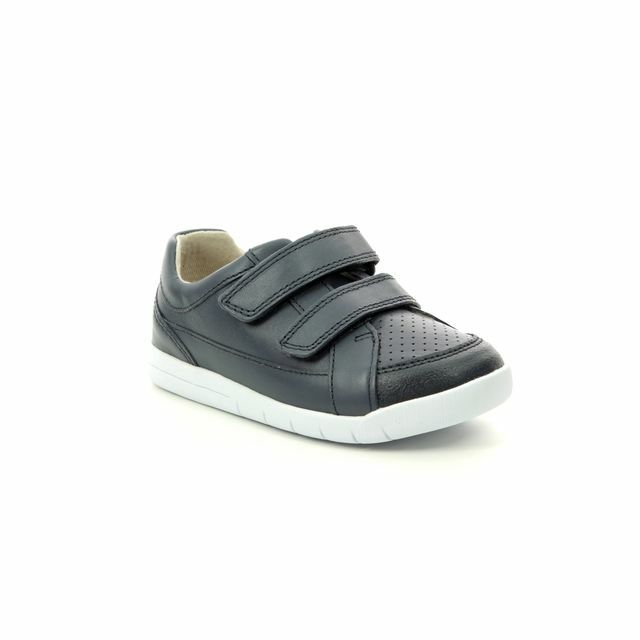 Two Velcro straps offer an adjustable fit which is quick and easy to secure and go, especially with the finger pull tab at the heel. 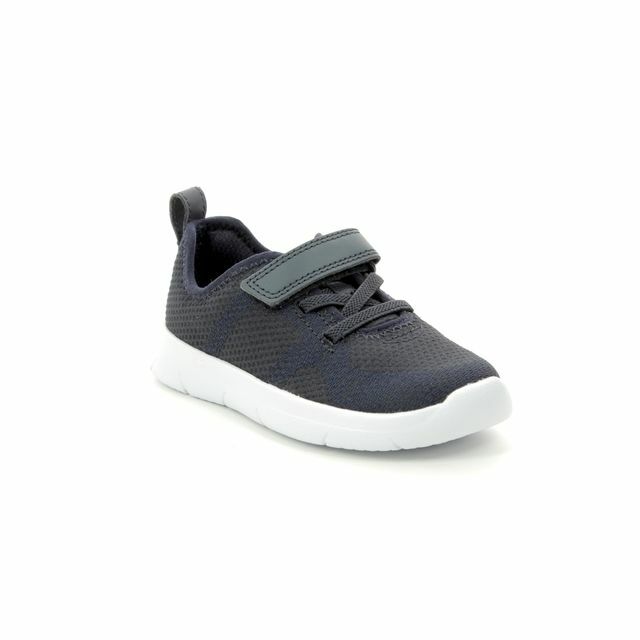 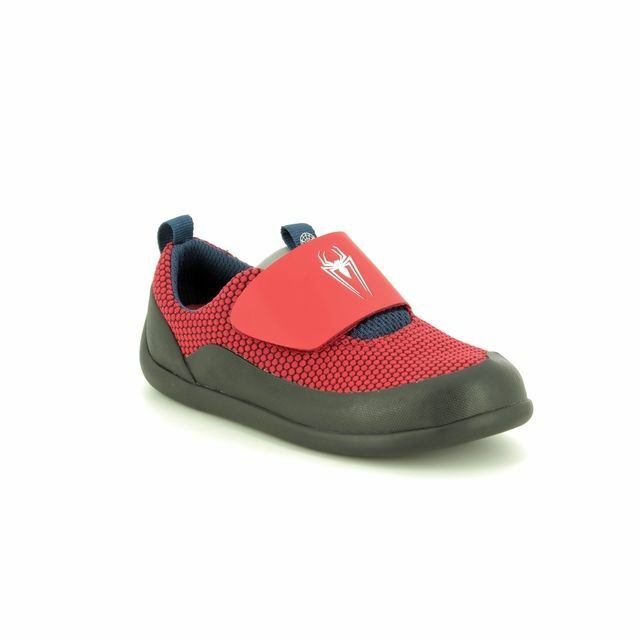 The padded footbed keep feet comfy and the rubber sole is hard wearing and long lasting for even the toughest of little feet. 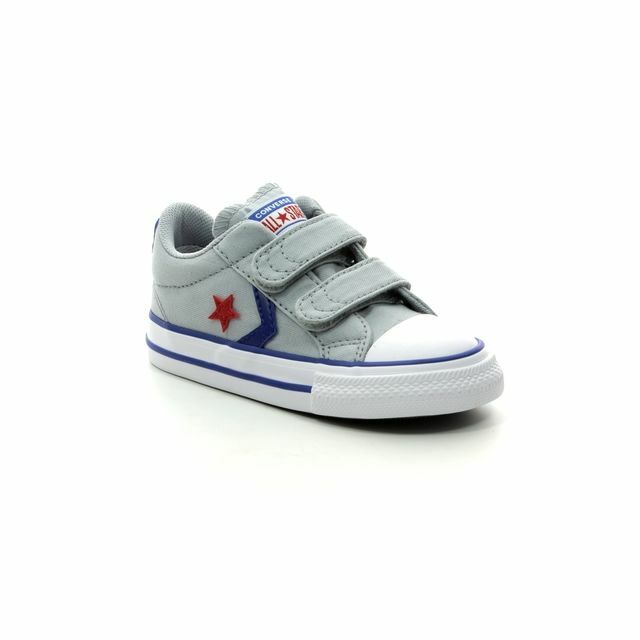 Converse branding can be found on the heel back and tongue and is red in colour to match the two stripes on the sole unit. 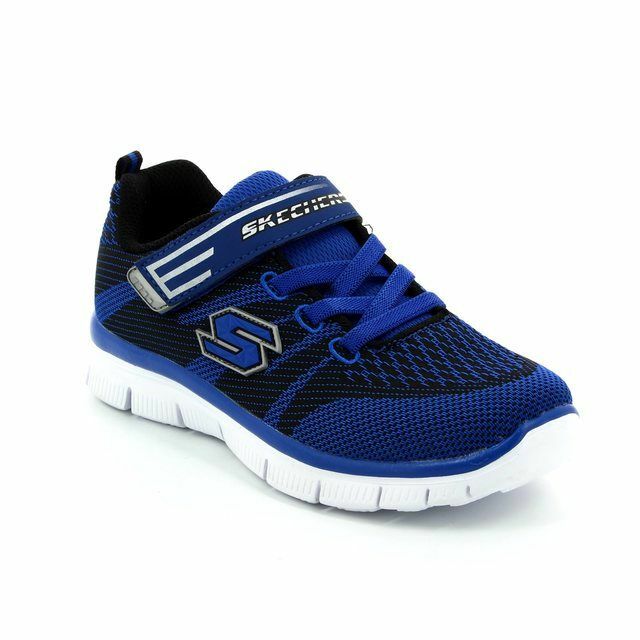 The vulcanised rubber waffle outsole has a distinctive footprint and there is an additional overlay panel on the toe front. 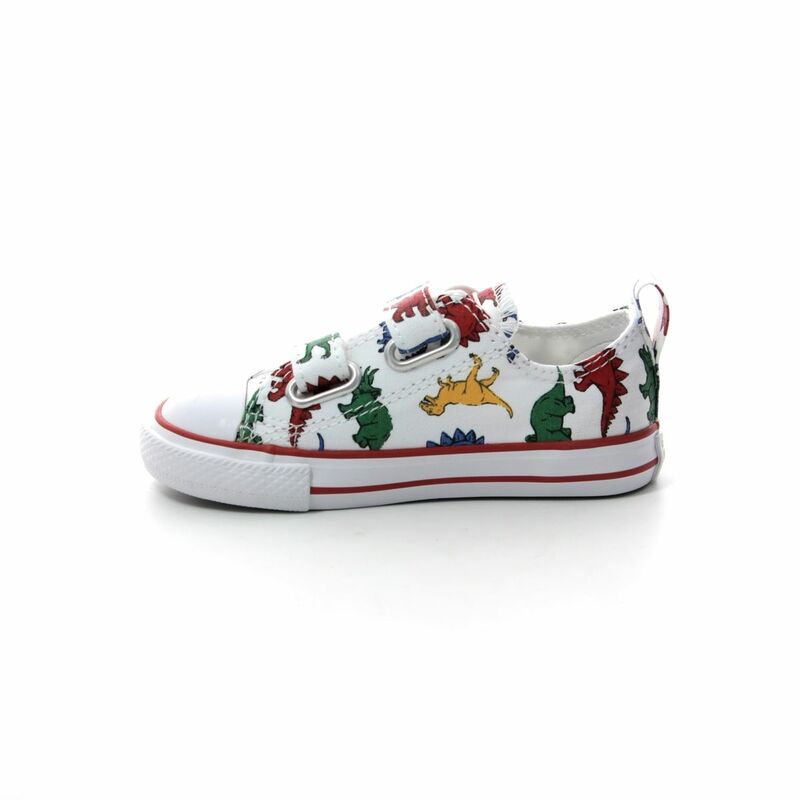 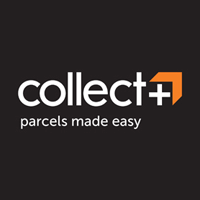 Buy your dinosaur Velcro Converse online or in store from Begg Shoes, an official stockist of kids Converse.